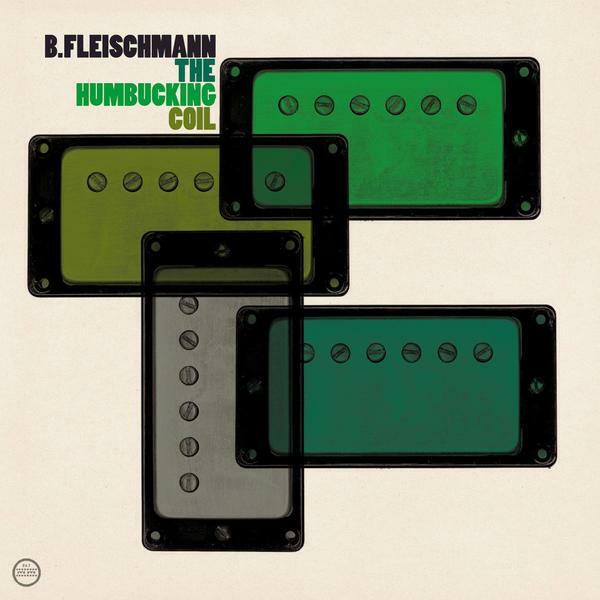 The latest beatific broadcast to escape Morr's velvet lined roster, 'Humbucking Coil' is the long awaited new album from Bernhard Fleischamnn and once again presents a picture of a pastoral elegance refracted through a digital prism. Uniting a broad scope which encourages the use of guitars (including the Humbucking Coil and dusty 505) and a keen eye for detail, Fleischmann's music could readily be tagged 'indietronica'; combining a keen sense of song writing with finely wrought micro sound frameworks. Opening through the oscillator wobble of 'Broken Monitors', Fleichmann seems to allow the music to dictate its own evolution - as clinical machines give way to a thrumming cloud of chiming instrumentation that wax and wane in a fashion comparable to as less peak obsessed post-rock. Similarly, 'Coil' takes its opening from the heart of the machine, before a pathos weary vocal from Fleischman pitches it clean into The Notwist territory; an approach which allows the bubbling electronica to add bite to the surface solipsism. It's a beauty. Elsewhere, 'Phones and Machines' recalls the digital long-grass of Hermann and Kleine, 'From To' is a gleaming slice of fidgety electro-introspection, whilst album closer 'Aldebaran Waltz' is treacle paced farewell in three-four time that peaks with such elegance, you really can't ask for more. Stunning.